Have you heard of Sonny Angels? For those not in the know they are a range of collectable little dolls from Japan which have been around for the last ten years. The dolls are sold in themed collections and arrive packaged in cardboard so you cant't see which doll you have got. Each purchase is a big surprise! Their collectable nature means that they are popular with all ages. In our house LM adores them but, as she's just two she isn't allowed to play with them. I think I definitely have a future Sonny Angel collector on my hands though! My Sonny Angels live on the bookcase out of reach. For their tenth anniversary collection Sonny Angel have teamed up with Ladurée - the legendary French patisserie - to produce twelve new Angels. Six of them wearing the Ladurée trademark macarons and the other six wearing some beautifully crafted pattiserie creations! As will all Sonny Angel collections there is one that is super secret and you'll never see it unless you're exceptionally lucky enough to receive it! If you saw the #bigreveal over on Twitter earlier you will have seen that I opened our Ladurée Sonny Angel to reveal the Macaron Menthe Glaciale Sonny Angel. This one is super cute and I love the teal green macaron on his head. He's a lovely addition to my little collection. 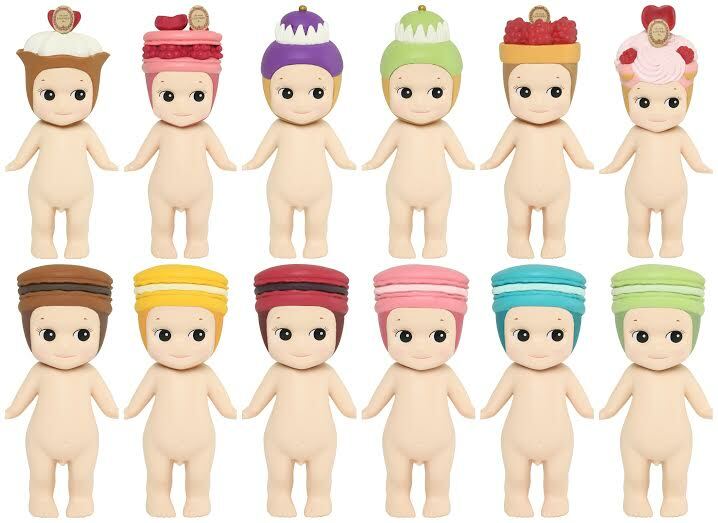 The Sonny Angel Ladurée Collction dolls have an RRP of £13 and can be purchased from Kind Toys. If you'd love to add a Ladurée Sonny Angel to your collection, or use it to start your Sonny Angel collection then enter my giveaway below. The blog post comment is compulsory and will unlock a range of additional entries. Please read the terms and conditions. Follow Red Rose Mummy's board Baby Wheels on Pinterest.